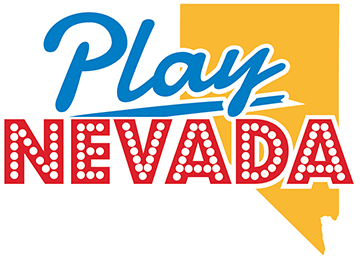 Nevada gaming is back, baby! According to the Nevada Gaming Control Board, casino gaming revenue throughout the state topped $1 billion in October. Gaming revenue for the month was $1.062 billion. That’s more than a 7 percent increase compared to October gaming revenue last year. The billion-dollar mark is significant for Nevada gaming revenue. This benchmark is the first month since May that monthly gaming revenue broke the billion. October also had the best month of gaming revenue since February 2013. Unsurprisingly, the biggest jump of gaming revenue in Nevada took place on the Las Vegas Strip. Thanks in part to an increase of casino promotions and visitation, gaming revenue on the Strip jumped 12.2 percent to $593.4 million. Additionally, October happened to be the busiest month at McCarran Airport (LAS). Pai Gow Poker is closing in on a $10 million win month for casinos in Nevada. There was a 23 percent win increase to $9.1 million from Pai Gow Poker in Nevada. The game is gaining popularity with casino guests looking for a fun game. The slow play allows for a social atmosphere and the low 1.46 percent house edge keeps money in play longer than other casino games. The largest boost in slot machine win in October comes from Megabucks. The statewide progressive slot machines saw a 402 percent increase in wins for casinos. It’s always fun to note that penny slots alone won casinos more than $300 million around the state. That’s nearly half of casino slot machine win. The greatest gain from table game comes from blackjack, which had a 40 percent win increase. Baccarat is still the leader in casino win for Nevada over the past 12 months despite blackjack having more than seven times more tables. There’s no shortage of stories about Nevada sportsbooks being “killed” this football season. Players might win more often, but the sportsbooks are doing fine. Nevada sportsbooks still won $29.5 million despite significant decreases from September. Win percentage from September decreased for football (28.26 percent), basketball (24.88 percent) and parlay cards (45.23 percent) in October. The sportsbooks were still able to scratch out a $29 million win for the month. Football still won $11 million for the casinos. The football win percentage of 3.32 percent is lower than usual, as casino win from football has been 5.01 percent over the past 12 months. The end of the baseball season means that all futures wagers for the season become final. Nevada sportsbooks won just more than $8 million from baseball wagers in October.